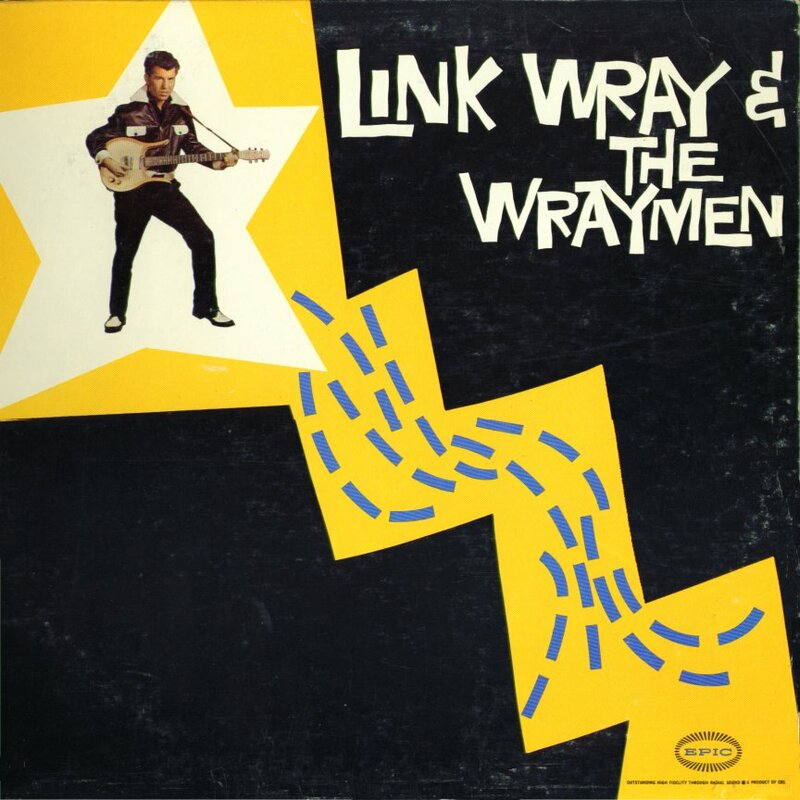 Link Wray & The Wraymen Epic Records It’s hard to imagine an instrumental being banned as too subversive, but that is what happened to Link Wray’s Rumble in 1958. Its tough, muscular sound captured the tension of a gang fight and many US radio stations refused to play it or even mention its title.It’s hard to imagine an instrumental being banned as too subversive, but that is what happened to Link Wray’s “Rumble” in 1958. Its tough, muscular sound captured the tension of a gang fight and many US radio stations refused to play it or even mention its title. Wray’s opening chord sets the scene for 150 echo-drenched seconds of feedback and distorted guitar. This is Link Wray’s original 1960 debut LP. An all instrumental album incluing Link’s smash hit “Raw-Hide”, the often covered “Comanche”, the ballad “Lillian” plus Caroline/Slinky/Right Turn/Rendezvous/Dixie-Doodle/Ramble/Hand Clapper/Radar/Studio Blues. You can get this and more Link Wray from Norton Records. Link Wray – still NOT in the Rock and Roll Hall of Fame. Rumble was never banned, anywhere, period. Just one of many claims of Mr. Wray that never actually happened anywhere but in his mind. Rumble and Raw-hide were never million sellers, despite his claims — they were issued after RIAA’s gold record program began, yet neither have ever been certified gold. Link Wray had two modest chart hits, neither of which ever made the Top 10. Say what you will about the RRHOF, but that’s not enough to get him in. Link should be happy he’s not represented in the Rock & Roll hall of Fame. It’s an honor about one step above having your guitar or shadow-box gold album hung on the wall of a Chili’s. The opening riff of “Fatback” has done way more for R&R than half the high concept crap that lines the walls of “Ohio’s Louvre”. The RnR Hall Of Fame? The first ever solo rock’n’roll star on the charts- PAT BOONE-should have been the first member. The RnR Hof F is more about politics than music anyway and if it hadn’t been for Boone its doubtful RCA would have signed Elvis. Boone was the catalyst who opened up the gates to allow black music into the mainstream.